Celeriac is an underrated vegetable with a nutty, celery-like flavour. It adds substance to dishes in the same way as potato and makes an ideal healthy substitute. 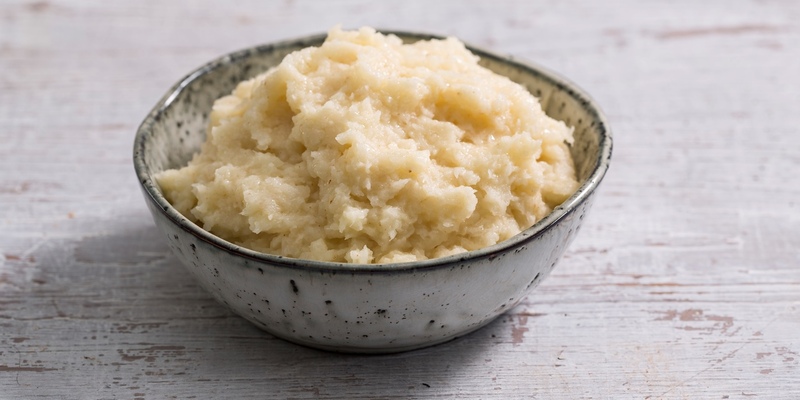 When mashed, celeriac goes light and fluffy and has a great taste and texture. Try adding herbs such as thyme or rosemary to the water when cooking; adding a minced clove of garlic will also impart extra flavour. For an indulgent mash, stir through a glug of cream after mashing, and for a bit of a kick try adding cracked black pepper or grated horseradish. Celeriac mash complements a wealth of dishes and can be used in place of potato as a tasty side. Try it with Andy Waters’ Veggie Wellington or Chris Horridge’s Roast chicken breast, potato purée and pine nuts. It also perfectly suits a warming, traditional beef casserole.